From bacon sandwiches to Gareth, this year has had some particularly memorable highlights. 1. When Ed Miliband got bored during a speech and tried to sneakily eat something without anyone noticing. 2. Or that time he was set to relaunch the party's election campaign, again, and made this face outside the door. 3. When he used a song by The Horrors in the lead-up to his party conference speech and then the band complained. 4. And then, after he gave his final conference speech before the election, everyone was only talking about someone he mentioned called Gareth. Who he met in a park. 5. When he said he feels "respect" when he sees a white van. 6. That time the Labour party leader retweeted this GIF. And then un-retweeted it 10 minutes later. 7. When he made this face. 9. 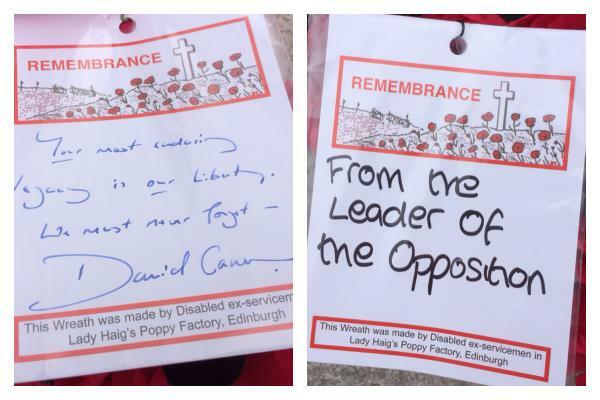 That time he laid a wreath and left this pretty rubbish message. Messages on the wreaths laid by David Cameron and Ed Miliband. 10. And when this 17-year-old in a traditional Labour area described him as a "knobhead". And so the internet turned it into a meme. 12. And that time someone pretended to be him on Tinder and it was absolutely filthy. 13. Or that time ITV called him the "Labour Party Lady" for no very good reason. 14. That time he awkwardly stared at a camera and so someone set it to Drake. 15. That other time he was a bit awkward on TV and it looked like he was sniffing Laura Tenison. 16. And finally, of course, that time former Hear'Say band member Myleene Klass ranted at Miliband and told him: "You can't just point at things and tax them." Want more politics news? Follow BuzzFeed UK Politics on Facebook.